– Registration Form – Pre-Register prior to 10/3/2013, after that at the door. – Informational Flyer – Handout style flyer with info on the event. 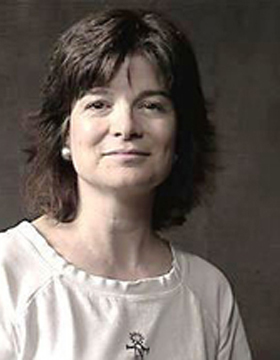 NOTE: Due to the in process government shutdown, we are unable to have Dr. Stefanie Milam present at AstroFest. We have been able to secure subject matter experts to provide similar lectures. Thank you for your understanding of this situation. Damian G. Allis Ph.D. – Central NY Observers & Observing astronomy and science outreach exhibit (CNYO.org). 3:00 PM – Doors Open to the public. Solar Observing. 4:00 PM – 6:00 PM – Solar Center – Things to Know About Our Nearest Star – An opportunity for solar viewing. Held at the Kopernik Gazebo, and, in case of poor weather, in the Earth Science Lab. 6:30 PM – 7:15 PM – Constellations Workshop – Stories, history, make your own glow-in-the-dark sky map, and more, in the Earth Science Lab. Followed by a green laser tour of the constellations outside. 9:00 AM – 10:30 AM – Make a Star Wall Hanging Craft activity for kids of all ages in the Earth Science Lab! 2:15 PM – 3:00 PM – There Once Was a Sky Full of Stars. What we should all know about light pollution and ways we can help mitigate the problem. 5:00 PM – 6:00 PM – Make a Star Wall Hanging and Constellations Workshop Stories, history, make your own glow-in-the-dark sky map or a wall hanging in the Earth Science Lab. Hours: Friday, October 4, 2013 – 6:00 PM to 9:00 PM, Observing all night if clear. Also the facility will be open from 12:00 noon to receive campers and/or people interested in setting up their observing gear. Entrance Prices: $5.00/day registration for adults. Under 16 free with parent. Groups of 7 or more, please contact us for group pricing. 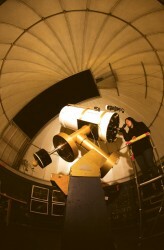 The KAS is a group of volunteers interested in astronomy. We volunteer our services on behalf of Kopernik Observatory & Science Center. The Observatory is perched atop a 1720 foothill in Vestal, 13 miles Southwest of Binghamton, NY. We have calculated a Sky Quality Meter (SQM) reading of 21.00 (naked-eye limit of 6.12 magnitude) with a light dome in the NE. Operating for over 35 years, the Kopernik Observatory & Science Center was New York State’s first science laboratory facility designed for K-12 teachers, students, and their families. Today, our regional science center is also dedicated to public programming and to teaching students from Kindergarten to the Graduate level. We are planning our AstroFest event for this fall. We are hoping you would consider being a part of our event. 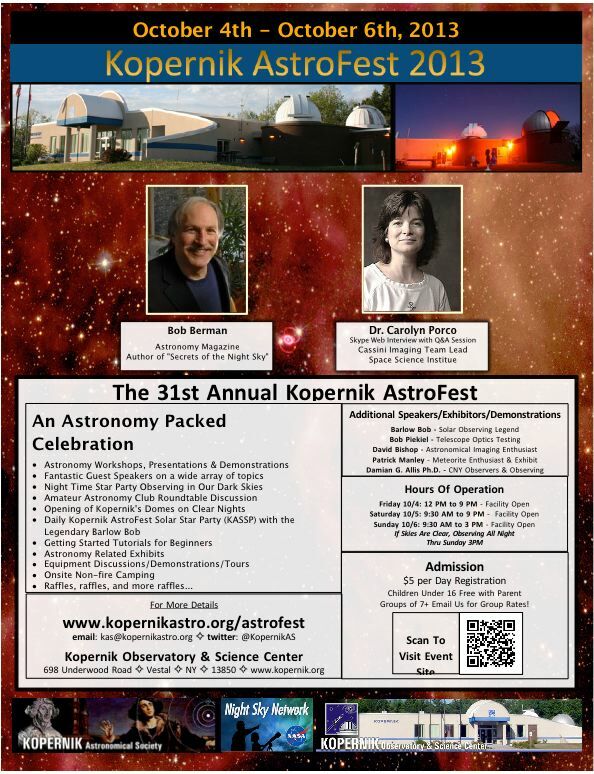 At this time talks are targeted for a more advanced group of amateur astronomers from Kopernik, and other astronomy clubs, as well as college professors, graduate and undergraduate students from area Colleges and Universities; as well as interested members of the public. Our AstroFest will begin at 6 PM on Friday, October 4th, and concludes Sunday afternoon, October 6th. You can decide how much you would like to participate from one day to all three. Camping will be available at the observatory or you can find lodging in Vestal hotels. We are hoping for clear skies to observe after the talks Friday and Saturday, and sunny skies for solar observing with Barlow Bob and “company” on Saturday and Sunday mornings. 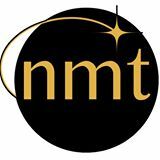 At this event, we will support a swap meet if people are interested, and you are welcome to sell your astronomical items or trade with others that participate. We will provide a free spot under our Gazebo or dining canopy to do so (first come, first served). One of the purposes of this year’s event is to get others to visit us and see the jewel we have here in Vestal. 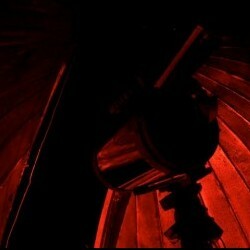 Not-for-profit Kopernik Observatory is regionally known as a “Space Education Center”. 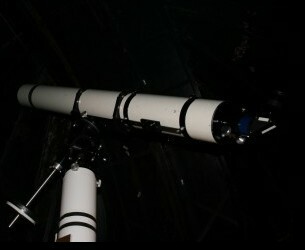 We also claim to be the best sited, best equipped observatory in the Northeast US which is open to the public. We have three domes, one with a 6” f/12 Astro Physics Planetary Special (the second best of the batch of 25 produced) on a G-11 mount/clock drive and NGC-Max; one with a Celesteron 14” with a CGE computer drive and our flagship, a 20” Ritchey-Chretien with an OGS drive. On occasions we talk with astronauts in space on the ISS, Space Shuttle, and in the past, on Mir via amateur radio station. From the E or W – take Route 17 (Southern Tier Expressway – future I-86). Get off at the Vestal Exit 67 S (26 S) and proceed up the hill about 5.5 miles. Just past Vestal Center (alleged to be a 40 mph “speed trap”), turn right at the sign “Observatory 2 Miles” onto Glenwood Road. If you miss the turn, you will hit the Pennsylvania state line in about a mile – just turn around and go back a mile. Take Glenwood road a block to the first left hand turn (about .2 mile). This is Underwood Road. Drive up the hill 1.8 miles. Kopernik Observatory is on the left. From the N or S – take I-81 to Route 17 (Southern Tier Expressway – future I-86). Then follow directions from E or W.